AUSTIN, Texas (Apr. 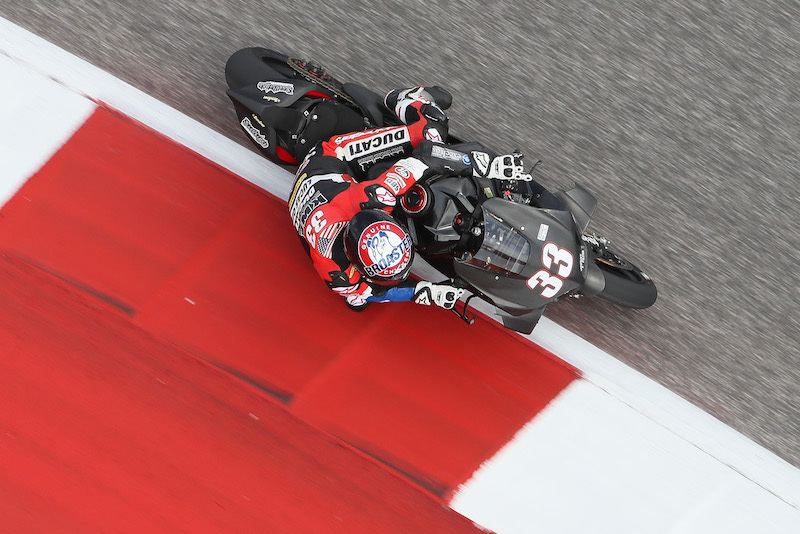 15)— The SC Project/KWR Ducati team put up another pair of top-10 finishes this past weekend at Circuit of the Americas for the second round of the MotoAmerica Superbike championship. 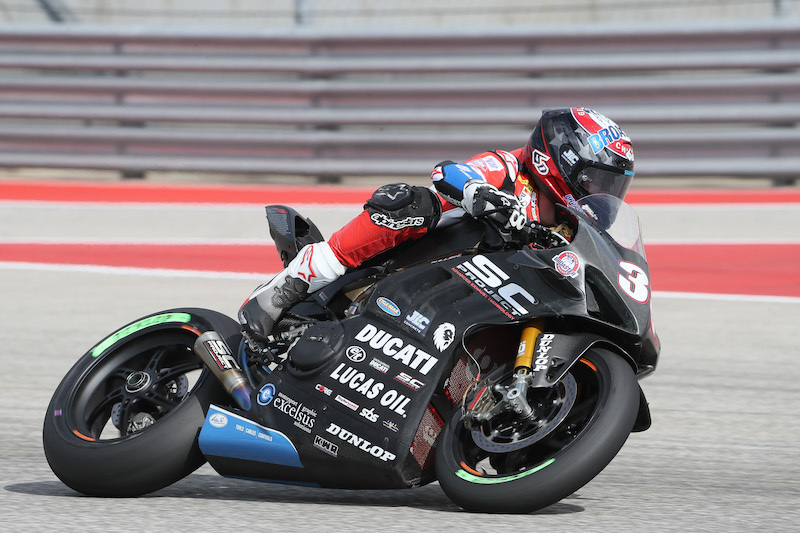 Kyle Wyman rode his Ducati Panigale V4 R to another stout performance considering the team’s early state of development on the new platform. Wyman posted an impressive time of 2.11.183 to finish the qualifying practice 6th overall on the time sheets, bettering his previous personal best time at the track. After a short Superpole session Wyman was unable to improve over his race tire time on the qualifying tire, and would start 9th on the grid, in the same position as Road Atlanta a week prior.